The Razer Pro|Type? 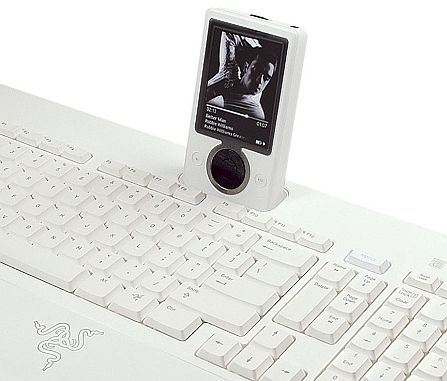 is the first professional keyboard to feature an integrated docking station for the popular iPod. It is also highly customizable and has quick access media keys for convenience. Developed by a specialized team of professionals, the Razer Pro|Type? delivers a superb innovation in functionality and ergonomics to take your efficiency and productivity to greater heights. 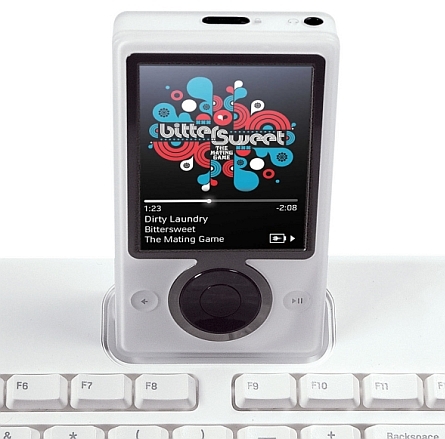 I’d say it’s more like a portable media player (pmp) dock, since it supports Zune too.